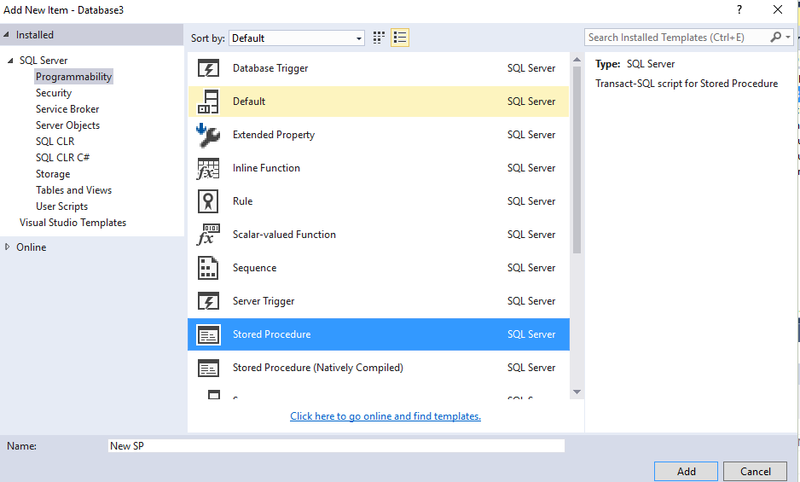 The following code will list all the SQL Server instances on the local machine. 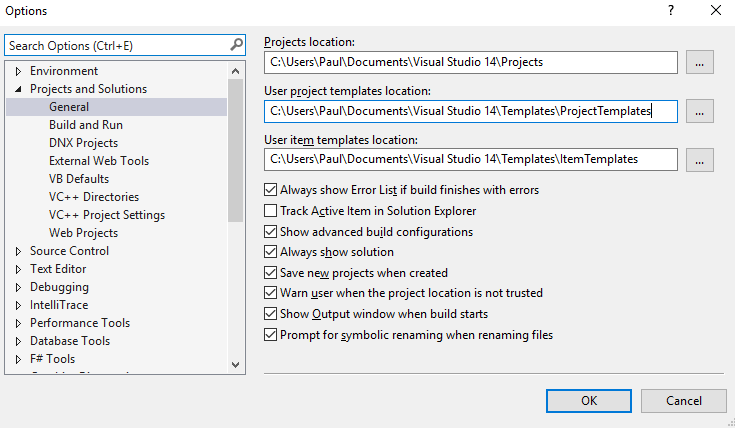 This entry was posted in C#, SQL Server and tagged c#, RegistryKey, RegistryView, SQL Server, Sql Server Versions on February 12, 2016 by pcmichaels. 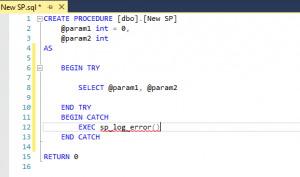 This entry was posted in C#, SQL Server and tagged c#, dacpac, RegistryKey, SQL Server, SQLPackage, SSDT on February 11, 2016 by pcmichaels. 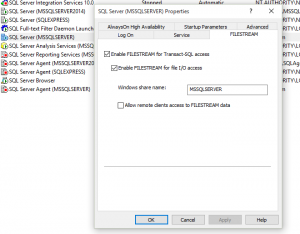 I have written a couple of articles around this; relating to transmitting large files over WCF and enabling filestream in SQL. 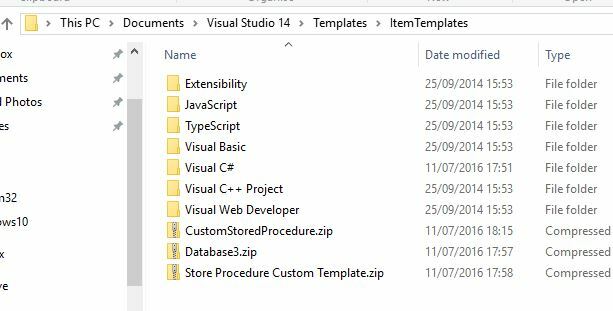 This article deals with actually inserting one of those large files into the DB and retrieving it back out again. 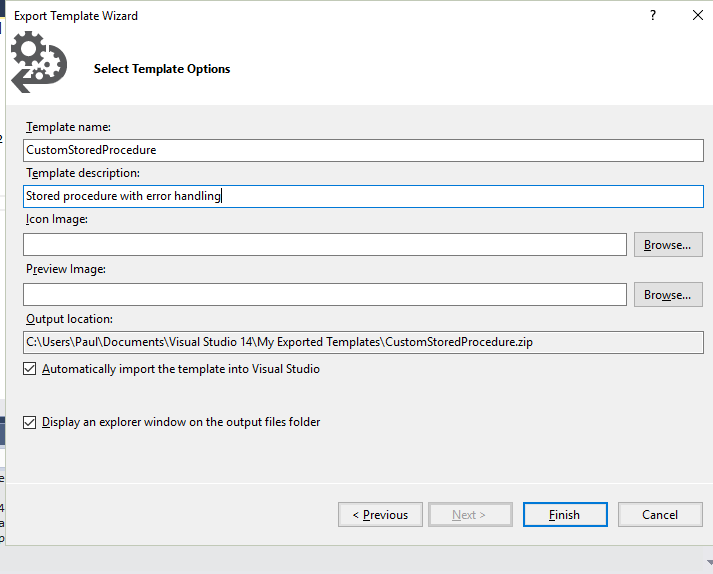 The following method does not use FILESTREAM; that requires a slightly different syntax. For completeness, my DB is called TestDB. You’ll notice that `Data` uses FILESTREAM. However, I won’t cover that in this post. 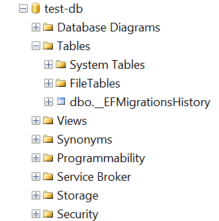 As you can see, I have a connection string called “TestDB”; other than that, I think the only remarkable thing (that is: thing worthy of remark – not astounding) is the SqlParameter set-up. 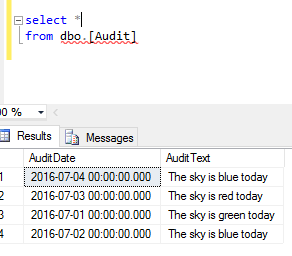 Use the VarBinary SQL type, and the ADO.NET SQL function SqlBytes(), and you’re good to go. A familiar looking idea. You’ll see that I’m only returning that `Data2` as stated earlier, and am using the SqlDataReader.GetStream() function. I’m deliberately missing out the configuration that enables you to send these files, and which is documented here. So, we’re reading a file from c:\tmp into a stream, and sending that, via WCF into the SQL DB. 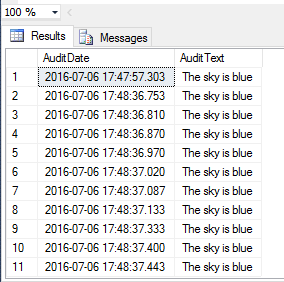 Then, we’re reading that back out of the SQL DB, and sending it back over to the client. The client then writes this out to a file. I fully intend to cover how this differs in a FILESTREAM column in a later post. 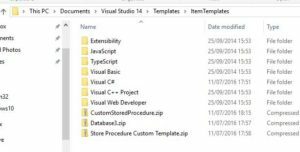 This entry was posted in C#, SQL Server, WCF and tagged Binary, c#, FILESTREAM, SQL, SQL Server, SqlBytes, varbinary, varbinary(max), WCF on February 5, 2016 by pcmichaels. 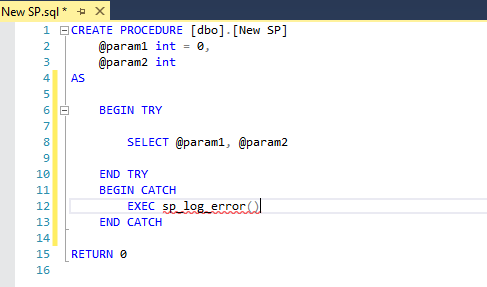 Whilst playing about with this feature of SQL Server, I encountered the above error. This post should lead you around the error. It does not make any claims as to whether using the FILESTREAM feature is a good, or bad idea. Default FILESTREAM filegroup is not available in database ‘TestDB’. I have to be honest, and say that I did, initially try to create this through the UI designer. this thread put me straight on that. 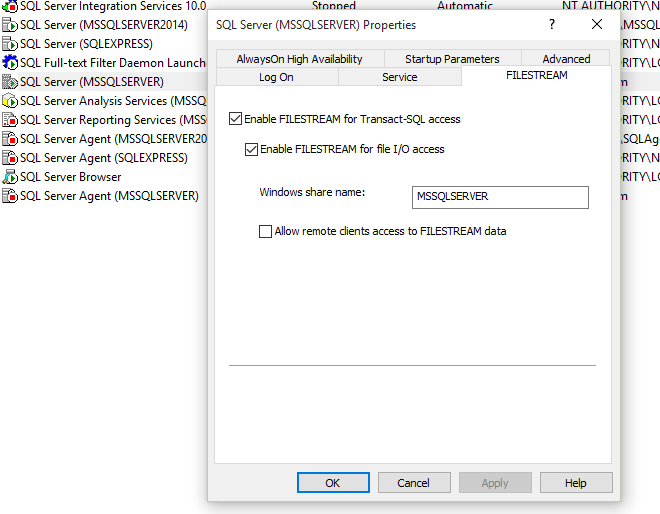 Next, run SQL Configuration Manager and enable FILESTREAM here as well. Obviously, replace “C:\db\fs” with an actual location on your hard-drive. A table with FILESTREAM column(s) must have a non-NULL unique ROWGUID column. Basically, you are now storing the data from the DB in the file system. I re-iterate, I make no claims that this is a good or bad thing, just that it is a thing. 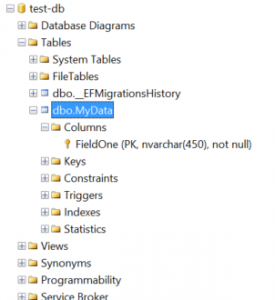 This entry was posted in SQL Server and tagged A table with FILESTREAM column(s) must have a non-NULL unique ROWGUID column, Binary, Default FILESTREAM filegroup is not available in database, File Group, FILESTREAM, SQL, T-SQL, UNIQUEIDENTIFIER, varbinary, varbinary(max) on February 5, 2016 by pcmichaels. Occasionally, if you’re especially lucky, you’ll get into a situation where you have SQL procedures and functions that are so complicated that they require unit tests all of their own. They’ll have business logic embedded in them, and not testing them will leave a massive hole in your test coverage. In this blog post I’m not going to describe how to do that – SSDT are quite well documented anyway. This is about how to deal with dates and times in SQL Server. MyTable contains many entries after today, and my test checks that it returns ‘test’, so the test works, the code works and I’m going to bed. But what happens in a year’s time? Let’s say that the last entity in that table is 01/01/2015 (that way the post works in the US, too). As I write this, it is mid-way through June. So, I need to know what will happen on 2nd January 2015. If I do nothing then when it is 2nd January 2015 the test will start to fail, and I won’t know why. 2. Show the existing implementation of MyGetDate2 (in case it’s not what it should be). 3. Change MyGetDate2 to use GetUTCDate(), so it should be the same as before. 4. Check again – should still return the same as 2. 5. 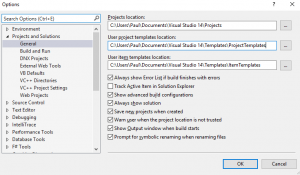 Change MgGetDate2 to return hard coded date. 6. Check that it now returns a hard coded date. 8. The transaction is rolled back, and so the function behaves as in 1. So, we can include a date mock in our test and, should there be a problem, or when we’re finished, it all gets rolled back. Just because I’m always cautious about such things, I’ve created a test that checks that the default implementation returns the current date, but you shouldn’t need this. 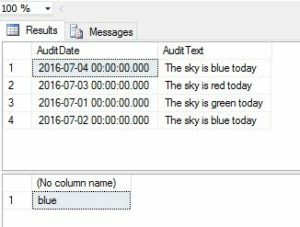 This entry was posted in SQL Server, Unit Testing and tagged DateTime, Mock, SQL, SQL Server, Unit Test on June 22, 2014 by pcmichaels. 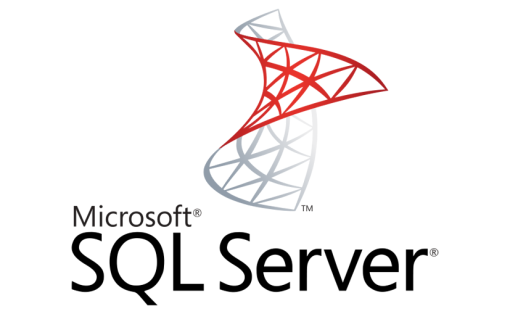 The server principal “server” is not able to access the database “DBName” under the current security context. I got this error recently – seemingly for no reason. I thought it might be an idea to share the workaround, as I didn’t find it anywhere when searching (although I did find a mass of other potential solutions – so this is the post I wanted to find while searching). This occurred after recreating a database and trying to run a stored procedure. It’s obviously a security error; but it appeared that the security was sufficient to execute the SP in question. That showed nothing; i.e. there was no explicit “deny”. Again, this didn’t work for me. 1. 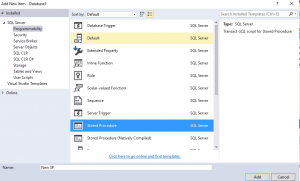 Log in with Microsoft SQL Server Management Studio and click OK when the error appears. 2. 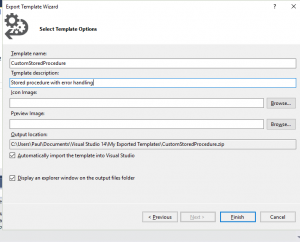 Press F7 to open Object Explorer Details. 5. 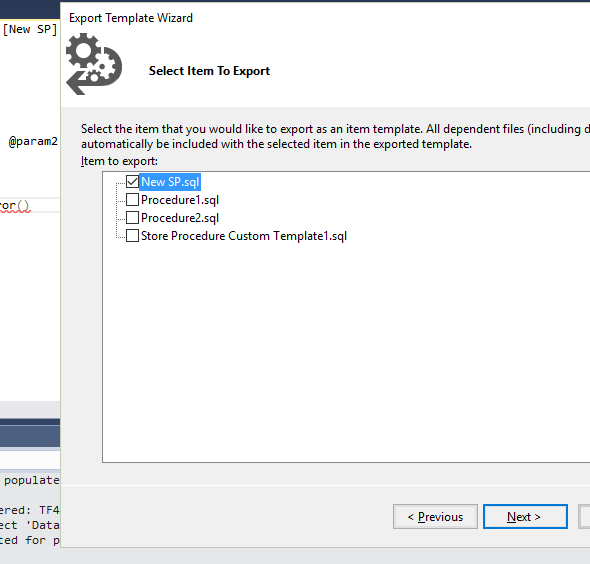 Find your database and click the + sign to expand it. It didn’t work (and I couldn’t really work out why it would); but based on the quantity of suggestions and positive response – try it). Where ‘SomeUser’ isn’t in your DB. The reason that enabling ‘Guest’ works is that it acts as a fallback; if you try to do something as a user with no permission, it will use Guest if it can’t execute. 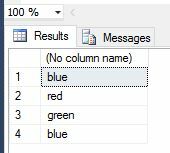 This entry was posted in sql, SQL Server and tagged SQL, SQL Server, SQL Server 2008-R2 on February 19, 2014 by pcmichaels.